The 17th Indian Film Festival of Los Angles 2019, which began on Thursday, concludes April 14. 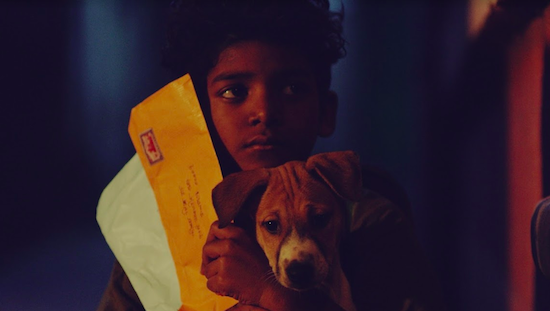 Writer-director Safdar Rahman’s directorial debut Chippa, which features actor Sunny Pawar of Lion fame, is having its North American premiere at the 17th Indian Film Festival of Los Angles (IFFLA) 2019. The festival, which began on Thursday, runs through Sunday, at the Regal L.A. LIVE: A Barco Innovation Center in Los Angeles. The film, which stars Pawar in the titular role, is a coming-of-age tale of a boy and takes place on a single night in the city of Kolkata. On the eve of his 10th birthday, Chippa receives a letter addressed to him by his long absent father and Chippa travels the streets of the city to find out more. His journey brings him into contact with several colorful characters along the way — some who have lessons to impart, and some who could learn a thing or two from the outspoken kid. Chippa also stars Chandan Roy Sanyal (Kaminey, D-Day) in a pivotal role. The film also features actors Sumeet Thakur, Veer Rajwant Singh and Masood Akhtar, among others. It was edited by Manas Mittal and shot by Ramanuj Dutta, whose credits include the National Award-winning Mukti Bhawan and Kadvi Hawa, respectively. Cyrille de Haeshas scored the music for the film. Chippa is produced by Celine Loop, Sushilkumar Agrawal, Rajat Agrawal, and A.V.T. Shankardass.